If you ask Google Images what a library is, you’ll get a very clear answer: books on shelves in a column-faced building. 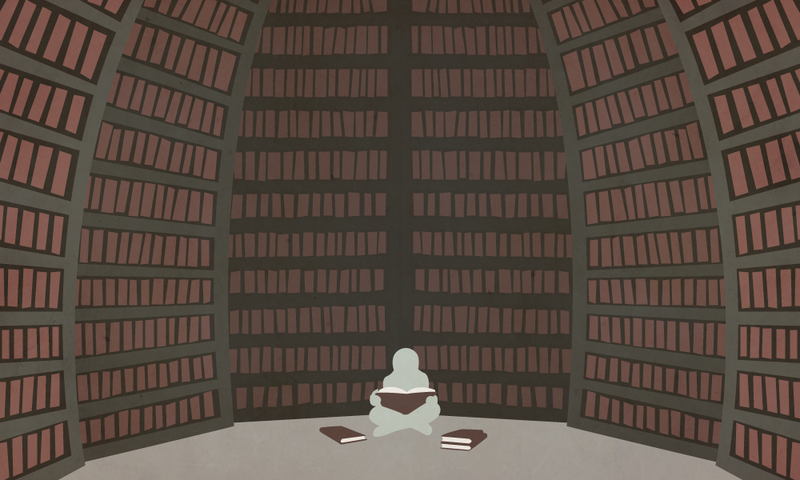 Like Google, most of us think of the library as a storehouse for books. We can be forgiven for thinking so. Our word library comes from the Latin librarium, meaning bookcase. It’s the same for the Latin and Greek equivalents for library — bibliotheca and bibliothiki, respectively — which led to the word for library in most modern Indo-European languages. It’s also notable that the Latin word for book, liber, originally referred to the kind of bark that was used in book construction. All this is to say that, through and through, we have conceptualized the library in terms of physical objects. Bark, books, shelves, buildings. Tim Gorichanaz is a PhD candidate in information studies at Drexel. His research explores the historical and philosophical aspects of libraries and information technology. His work appears in Straight Forward, Sinkhole and numerous academic journals. He enjoys running long distances and practicing classical guitar.